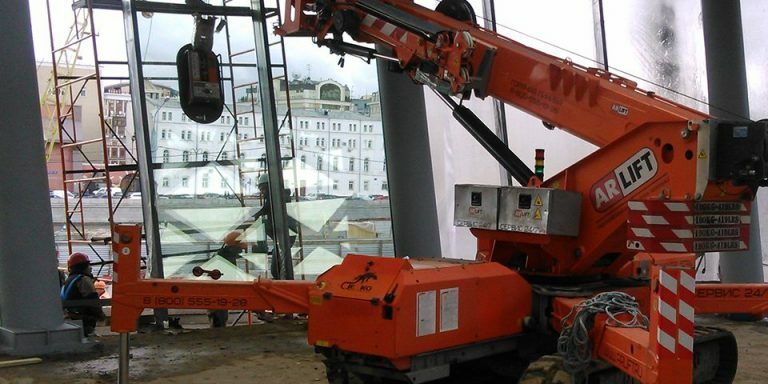 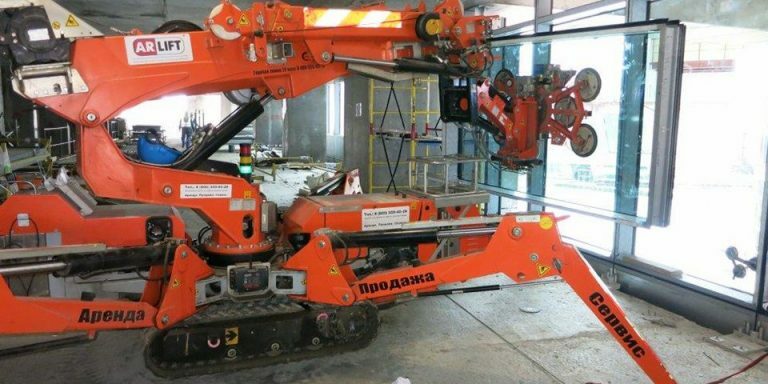 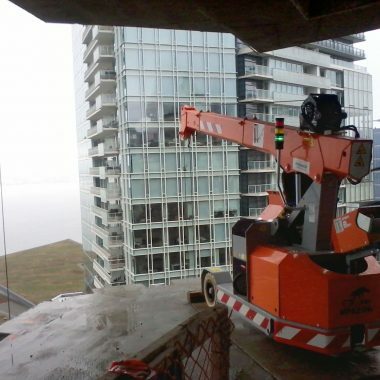 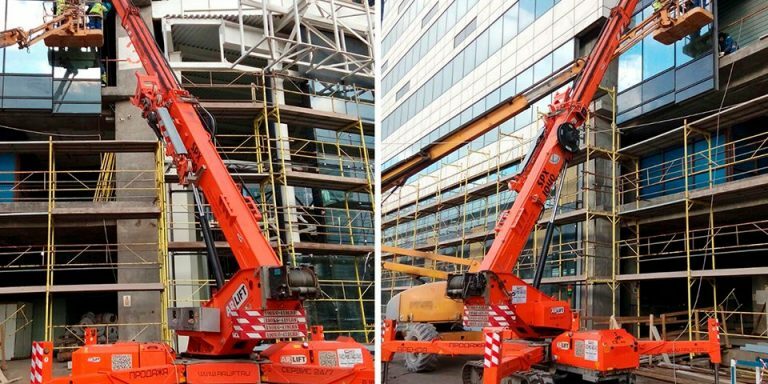 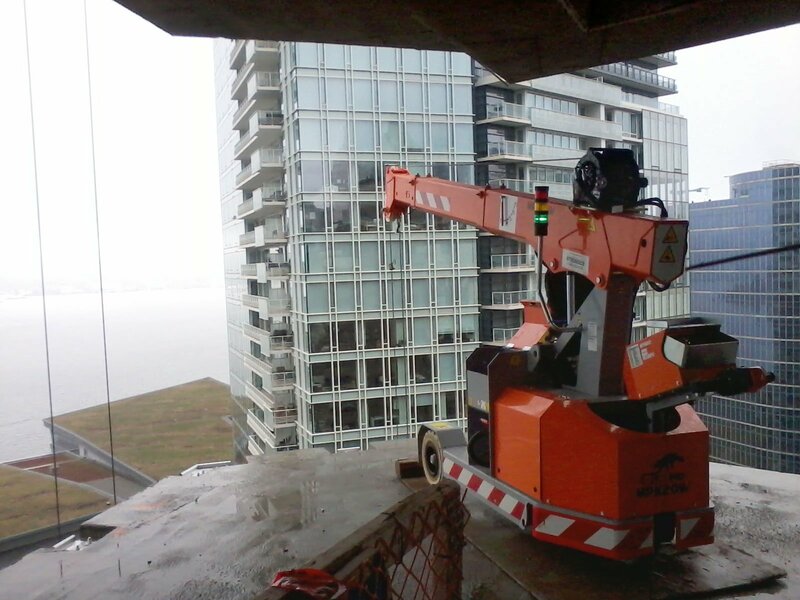 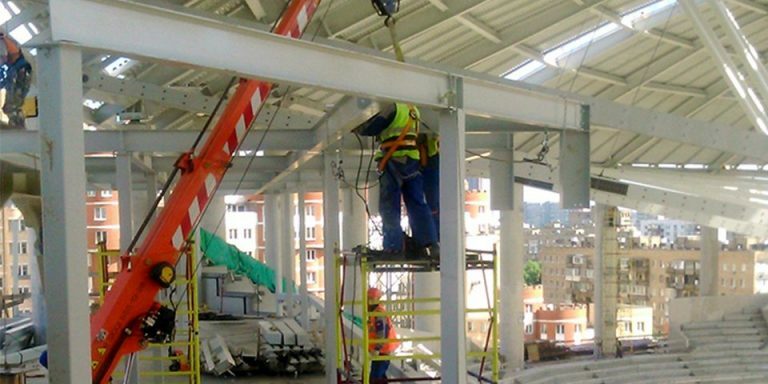 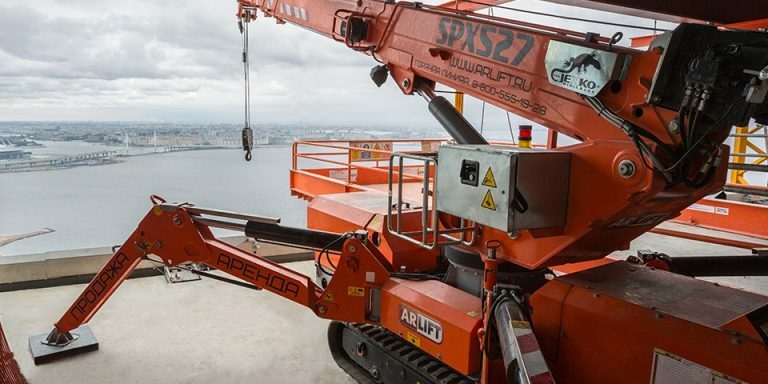 An MPK20 at work to install glass panes on a skyscraper in Canada. 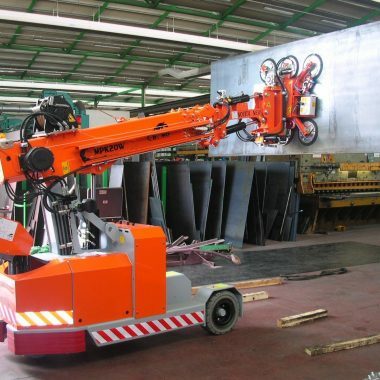 This machine is a good alternative to the SPX312. 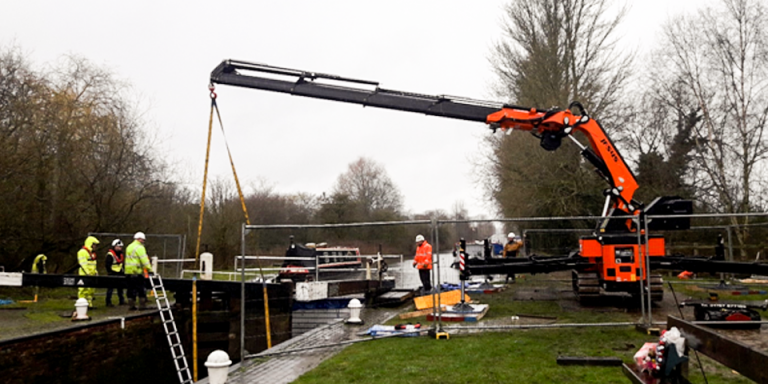 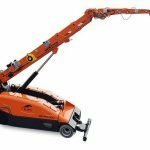 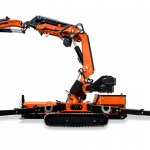 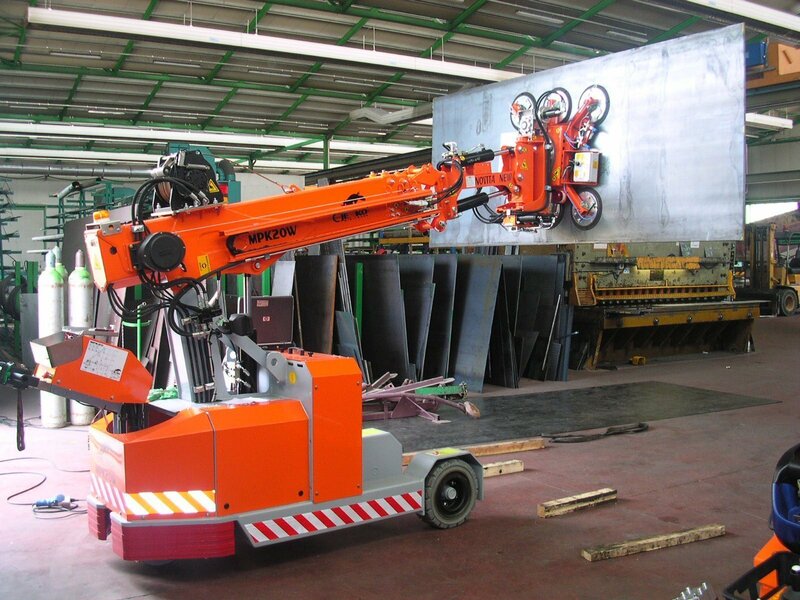 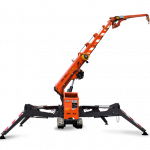 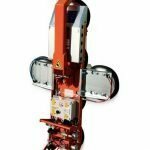 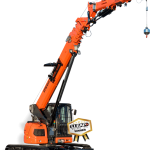 The MPK50 can also be fitted with the MR800 hydraulic manilupator to be used for handling any material unless it is porous.